This course will represent a fundamental change in our culture, specifically with regard to how we view our body in space, but also in terms of our understanding of why humans evolved in nature the way they did. In this course, we will explore the concept of tensegrity applied to the human body. We will attack the problems almost all people on the planet face within their musculoskeletal system by reverse engineering the way the brain and body connect. If you are someone who suffers from pain, or gets injured often when you move your body, this is most likely why you found Functional Patterns. What Can You Do To Solve Your Dysfunctions & What Processes Do We Recommend? Health professionals have similar questions about their patients. So I have chosen to create a system that offers a step-by-step approach towards gaining back a strength that humans have lost in modern times: Structural Integrity. Posture training is a new fad in the field of exercise. I call it a fad because basic posture training works only to a limited degree. Although there is posture training in this program, we take it several steps further than any other system on the market. Why is this system different? Very simple. At the origin of this company, the focus was oriented around training humans in relation to their biological characteristics. This focus has never changed. Although this was a radical concept just a few years ago, many are now having to accept the implications of this approach. What Do We Mean By Training Humans In Relation To Their Biological Characteristics? Just think about a dog. How does a dog move? It’s not complicated, a dog moves on four legs. It runs that way and walks that way most of its life. Now ask yourself this: if you were to train a dog, would you train it to run like a human being? I know this may seem like a crazy question, but it’s not. Humans move and run on two feet and their structure has adapted to move that way for millions of years. Dogs adapted very differently. Therefore the training of a dog would differ to that of a human. Hear me out; I’m going to bring it back together. If we analyze the way people have been training, there is very little transferability to how this training aligns with human movement. Humans Are Standers, Walkers, Runners & Throwers As A Priority In Their Movement! Of course, there are some other primal patterns of movement, but these four are the types that humans depended on most in nature. Therefore this is the basis of training at Functional Patterns. We have discovered that things like squatting and lifting come as a byproduct after establishing these priorities in human movement. Since no other system in the exercise and rehabilitation industries showcases results of human structures changing for the better the way Functional Patterns does, it is safe to assume they have not come to the same revelations. At Functional Patterns, We Are Known For Getting Results Where Other Systems Have Failed! Because our basepoint has been on analyzing the gait cycles of people like Barry Sanders, Carl Lewis, Usain Bolt and Randy Moss; the three-dimensional reactions of athletes like Floyd Mayweather, Juan Manuel Marquez, Deon Sanders, Tim Hardaway and Michael Jordan; the throwing capabilities of Tom Brady, Russell Wilson, Dan Marino, along with many other tested movers, we have managed to create an objective viewpoint on correcting human dysfunctions. Functional Patterns works because our ideas developed from the natural world. 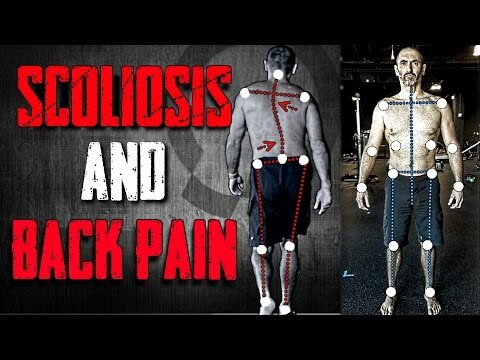 In this course, we will teach a step-by-step approach to addressing modern cultural adaptations.We attack the roots of problems such as kyphosis, lordosis, scoliosis, longitudinal compressions and dysfunctional rotations, along with many other dysfunctions that lead to people having pain and performing poorly with their functional movement. Each week, you will be given the most relevant information ever devised in the field of human movement training. Whether You’re A Physical Therapist, Chiropractor, Strength Coach, Personal Trainer, Or An Average Joe, This Online Course Is For You! This 10-week program is for you! The root solution to most problems deals with movement. The objective quality of that movement will determine how resilient you are to the demands you face on a daily basis. Be sure to be on the lookout for more advanced 10-week courses in the future. FYI, if you are intending to become fully certified at Functional Patterns, this will be the required learning material to get started. *No physical products will be shipped. After you order, you’ll get INSTANT ACCESS to stream the videos an unlimited amount of times on ONE device. A confirmation email with your username and password will be sent to your email’s inbox.